1900-2200 on 9700 SOF 050 kW / 306 deg to WeEu, VERY GOOD SIGNAL in SOFIA! POWERFUL SIGNAL on 12095 & GOOD SIGNAL on 9755 here in Sofia. The distance from the town of Kostinbrod to my home is less than 20 kilometres. BULGARIA Due to a technical problem at the transmitter site Kostinbrod no test transmission of The Mighty KBC on Sun Oct.28, 2012: 0000-0200 on 9500. 0000-0200 on 9500 SOF 070 kW / 306 deg to NoAm. But on same 9500 is CNR-1! The distribution changes - which include cuts to medium wave transmissions - are designed to save £4.8m in 2013/14. It's a large chunk of the £12m savings the World Service is targetting in its third phase of cuts as a result of a 16% reduction to its grant-in-aid. An estimated 3% of the Arabic audience is likely to be lost when the eight hours a day of Arabic short wave in the Middle East is halted. A short wave service will continue in troubled Sudan where there's a 'strong need' for humanitarian information and access to other platforms is limited. Many Middle East viewers will be able to receive Arabic tv direct from satellite. Another 1% of the audience will go when Middle East medium wave transmissions are reduced outside peak hours. The Arabic medium wave service to Syria and Lebanon will be cut from 18 hours a day to eight, while the service to Egypt will drop to six hours from 17.5. English medium wave to Israel, Lebanon and Jordan will also be slashed from 16-18 hours daily to four. The closure of the Cyprus short wave relay station will see the loss of 26 jobs. These are Foreign and Commonwealth Office and Babcock employees who are funded by the World Service. Peter Horrocks said that the changes reflected listening trends, as audiences increasingly embrace tv, mobiles and the internet over short wave radio. 'The changes are in line with our overall strategic aim of ensuring that we are able to respond to changing audience needs and invest in the way audiences consume news,' he said. The government's 2010 Comprehensive Spending Review set the World Service the target of saving £42m by April 2014. It has already achieved nearly £30m with the loss of five language services and around 480 jobs. Despite a day later, I am happy to announce the first birthday of our blog. On 24th October last year, I set up a new blog, dedicated to one of the best hobbies - the hobby of shortwave listening. During this time, we earned a lot of visitors (more than 30 thousands) from 100 countries. We continue to share a the latest information, like schedules of the international broadcasters, observations and news. We hope you we may be able to continue to fill the blog with valuable information. See updates below – In the next few days the transmission lines that allow Canada to broadcast to the world will be taken down one by one. 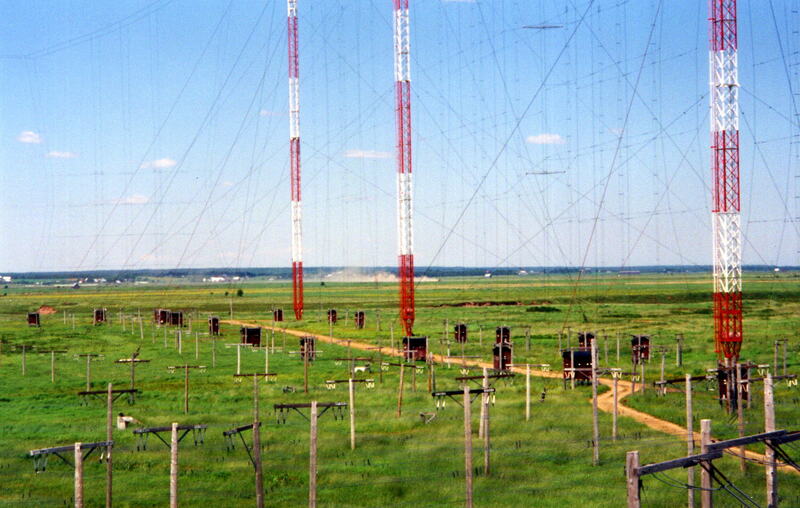 For more than 67 years Radio Canada International’s shortwave transmitters have guaranteed that Canada’s voice would be heard despite the Cold War, despite natural disasters, and Internet blocking. Now this efficient, cost effective communications tool will be dismantled by Canada’s public broadcaster CBC/Radio-Canada. CBC/Radio-Canada has never understood the importance of international broadcasting, and is betting that Canadians will ignore the fact that a web-only service has limited impact while shortwave radio can reach more than 800 million radio receivers around the world. 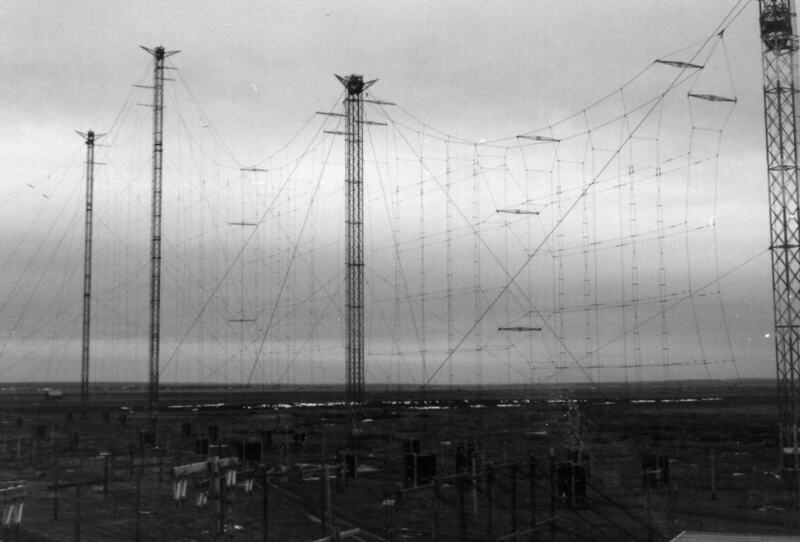 The short sightedness of administrators obsessed with web page clicks fails to take into account that shortwave not only transmits radio broadcasts, but has been used for teletype and data transmission. Recent experiments reveal that with free software, shortwave signals could transmit texts where the Internet is not available. A tool that once again would get past Internet blocking, natural disasters, and wars. The transmitters are there, they don’t cost much to maintain. Why do we want to cut ourselves off from being able to communicate with the world? Who should be making these decisions? UPDATE: October 23, 2012 – Five transmission lines have already been taken down! Two are in the process of being dismantled. By next week almost all of the 28 lines will be dismantled. Only two will remain temporarily for the Quebec Northern Service. A new DXPedition will be held on the 26th through 28th of October 2012 by me and my friend and fellow DX-er - Ivo Ivanov. We will use a Sony ICF-2010D receiver with built-in sync detector, two AM filters (narrow: 3kHz and wide: 6kHz) and USB/LSB/CW. We have already installed there beverage antennas (100m) to Western Europe and North America, to Africa and to South Asia and Australia. Our main goal will be to clarify the B-12 schedules of the international broadcasters from all over the world. It would be a real challenge for us but we hope we will be able to succeed. Again, I'm organising a pirate radio event when most of the European and American pirate operators will be on air with their stations, playing music, sending greetings to listeners and having fun! The pirate radio weekend will take place on the 26th and 27th October (Friday and Saturday), as well as on the Sunday morning. I would like as many stations as possible to take part in it. If you would like to take part in it, just tell me your frequency and time of transmitting, as well as your power and send them to my email: georgi.bancov@gmail.com ! Thanks in advance. IF YOU DON'T WANT YOUR COUNTRY OR STATION NAME TO BE LISTED, I MAY LIST YOU AS XXXXX, FOR YOUR CONFIDENTIALITY! Radio True North (69XXkHz, 150XXkHz, 21XXXkHz) - Canada, 200W carrier on all bands below 21MHz, 40W on 21MHz. More information and a concrete schedule will be posted later. also noted the second harmonic on 19000(35543). Very, very old transmitter! GERMANY    Dear friends of free shortwave radio, we have some bad news. Oct.20 SURPRISE: Radio Filia is // on other 2 frequencies 9420 and 15630! Programs in different languages are 5-7 minutes. During the rest time - music. Powers and azimuth are approximate. SOF has: 1x100, 1x70, 2x50, 2x20 kW. 0000-0200 NF  9500 SOF 100 kW / 306 deg to NoAm,ex 9400. But on 9500 CNR-1! 0000-2400 NF  6885 YAV 005 kW / non-dir to local broadcast, ex 6973//15850. * former freqs of EDC Sudan Radio Service in Arabic/English & various langs. Idaa-tu Sudanya" in Arabic and "La Voix du Soudan,Radio National du Soudan"
Do you approve radio stations that hide the transmitting site(s) they are transmitted from? Why? Give your opinion as a comment on this post. I expect interesting opinions from you. The most interesting answers will be given an award - a beautiful postcard and some post stamps from Bulgaria. A program for the Albanian expatries in Europe with a lot of beautiful music. Evangelical Christian programming of ministries from the United Kingdom. Domestic program with news and features in Croatian. A program for the Korean listeners in Europe. 0400-0458 on  7295 ISS 500 kW / 162 deg to CEAf Arabic, new "Chaine 1"
0500-0558 on  9535#ISS 500 kW / 162 deg to CEAf Arabic, new "Chaine 1"
1800-1858 on 13820 ISS 500 kW / 162 deg to CEAf Arabic, new "Chaine 1"
1900-1958 on 13820*ISS 500 kW / 162 deg to CEAf Arabic, new "Chaine 1"
2000-2058 on  9375 ISS 500 kW / 162 deg to CEAf Arabic, new "Chaine 1"
2100-2158 on  9375*ISS 500 kW / 162 deg to CEAf Arabic, new "Chaine 1"
* no signal on Oct.12. Please for more additional monitoring. Programs in different languages are 5-7 minutes, during the rest time-music. Future plans: Extended transmissions till 90 minutes: 0400-0530 & 1600-1730. 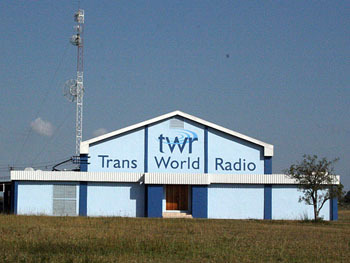 The news coming out of Trans World Radio's Swaziland transmitter site wasn’t good: The important backup generator was failing. But that wasn’t the worst part of the story, as Station Director Mark Blosser soon realized. The cost of fixing it likely would reach $28,000. Where would that come from in a budget that already was overstretched? Unexpectedly, a longtime supporter of the ministry wrote a check when Mark told him about the problem and another sizable donation came in. Still, the purse was more than $22,000 short. Another Blosser friend, Eddie Fisher, retired from his job repairing commercial engines and moved to the area. When he examined the generator and gave his expert appraisal, the outlook grew even darker. 1900-1958 on 13820 ISS 500 kW / 162 deg to CEAf, no signal maybe cancelled? 2000-2058 on 11775 ISS 500 kW / 194 deg to NWAf, no signal maybe cancelled? 2100-2158 on  9375 ISS 500 kW / 162 deg to CEAf, no signal maybe cancelled? Only one frequency on the air tonight on Oct.12! # on Tue, Oct.9 no transmissions of Radio Filia on 11645! Here is the summary of the QSL cards, I have received from Voice Of Russia for their broadcasts, relayed by various transmitter sites in Russia, Tajikistan, Armenia, Moldova and other countries as well. I'm looking forward to exchanging banners or links with other websites and blogs - there's no matter if they're DX and radio related or not. If you want the visitors of your website or blog to increase, just left me a note on my email address georgi.bancov@gmail.com and we will exchange links and/or banners. * the same frequency used by Radio Free Asia in Uyghur 0100-0200 from SIT! 1400-1530 on 13850 ISR 250 kW / 090 deg & on // 15760 ISR 250 kW / 090 deg. ISRAEL Only carrier on Sep.24/25/26 for Radio Galei Zahal on 6973&15850. 0500-0800 on 15725 & 1200-1500 on 11650, both from Dushanbe. Instead of it, on October 2, 0500-0600 on 15725 and 1400-1500 on 11650, a new program with African music and several announcements in Arabic: "Saut Afrikya min Idaa-tu Sudanya" and in French: "La Voix du Soudan, Radio National du Soudan" was broadcasted. There was an announcement in third language, too, probably in Somali or Swahili. Please check in the next few days! * to avoid strong QRM WYFR Gujarati on 15495 and Bangladesh Betar on 15505.